As I write this post, God’s Spirit is speaking to me about how we, as Christians, treat other people. He is reminding me that although we proclaim Jesus as Lord of our lives, many times, our actions do not match up with the words that come out of our mouths. We sing about love and kindness, yet we often do not live it out. Many times, as Christians—we are snooty! Do you remember the “Brownies”? Brownies was a branch of the Girls Scouts for girls ages 7-10 years old. I was a Brownie for a couple of years, and one afternoon, there was a field trip our group was taking into town after school. My Mom drove a big blue car. This car had a long front seat where three or four people could sit. 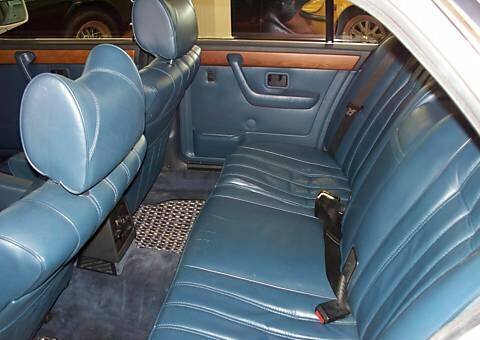 Do you remember those type of seats? That day, my Mom was taking me, my popular friend (who I will call Sarah), and another not-so-popular girl (that I will call Holly). Holly was overweight, she wore glasses and she did not “fit in” with the rest of us. She was different, and honestly, I was not interested in being her friend. Mom was responsible for taking Sarah, Holly and me into town to meet up with the rest of our group for the field trip. When Mom arrived at our school, my popular friend, Sarah, and I jumped into the front seat of my Mom’s big car and Holly was forced to ride in the back all by herself. The whole way into town, Sarah and I laughed and talked, having the best of times. I never even thought about Holly in the back seat, alone. Sarah and I were snooty. We were “too good” to sit with Holly in the back seat, and we did not include Holly in our conversation because she was not in our circle of friends. She was not popular and because she was shy, Holly never said a word the entire trip. My Mom dropped us off at our field trip destination and when our field trip was over, another parent gave me a ride home. I will never forget it! It was dark by the time I walked down the sidewalk at my house, and as I opened the back door, my Mom was sitting in my Dad’s green leather chair, waiting on me. I knew when I saw the look on her face, that I was in BIG trouble. She began to talk with me about how disappointed she was in my behavior. I did not even know what she was talking about! She told me how Holly was sitting in the back of that car with tears rolling down her face because of the way Sarah and I were ignoring her. Oh, my Mom was as disappointed in me as I had ever seen her! She meant business and she gave me a spanking that I have never forgotten. When I look back at that time in my life I am so thankful that my Mom did not put up with me mistreating another child. I needed that spanking and it was one of the best things that ever happened to me! You see, my Mom was teaching me that nobody deserves to be ignored. She was teaching me the importance of caring about people. She was teaching me the importance of including others and befriending them. But you know what? As much as I learned from that experience, time and time again, I still fail in this area. I find myself doing the same thing as I did when I was a Brownie. I judge others by their outward appearance or social status. I find myself shying away from people who I consider “awkward”, and God is convicting my heart about this sin in my life. What about you? Is there someone in your life that you are ignoring because they are different than you? Maybe they dress differently, talk differently, or are somewhat socially awkward. Regardless of what makes them different from you, you and I should show kindness and love by purposefully reaching out to them. And don’t forget about our kids! Are we teaching them the importance of including others? Are we serious about instructing them on how to treat other kids the way Jesus taught us to? Do they know the importance of treating others well and caring about their feelings? Remember, one way people know we are Christians is by the way we love others. Ask God to show you where you fail in this area. Listen as His Spirit guides you and then obey Him by reaching out to those people who are different than you. Don’t ignore them or be snooty to them! Love them! Care about them! You have more in common with them than you think!